Want to become a UKAFH Volunteer? Do you have a passion for fossils? Do you have some free time you could spare? Are you reliable? 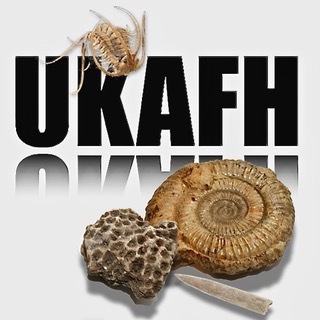 UKAFH is the largest family friendly fossil club in the UK, and part of its continuing expansion, UKAFH needs regional leaders. We have a fantastic reputation of having a outstanding team of volunteers who run fun, well organised and friendly events. To maintain our reputation, we have a system in place for signing up leaders. All our signed up leaders benefit from being able to go to any events for free, receive the glossy Deposits magazine on a free subscription, and obtain special rock-bottom wholesale prices off any item from UKGE. Before we can sign up anyone as a leader, we ask that you attend two events as a support leader. As a support leader, you will learn how we run events, assist with any help required and offer advice and help to members. You will need to complete the form at the bottom of this page, and we will contact you directly. Have some knowledge of fossils and be willing to research any fossil sites to which you are assigned. Have a basic understanding of geology, and be willing to learn the localised geology of specific sites that you are assigned. Advertise and promote UKAFH, UK Fossils and UKGE where possible (Facebook, Twitter, Local Museums etc). Be willing to undertake a basic first aid course (if you are not currently trained in First aid), which is a requirement of becoming a leader. Be willing to complete site risk assessments prior to the event. We have templates and guide notes to make this process as easy as possible. Contribute to the website, and our social networking sites, for example writing up event reports, taking and uploading photos or videos from events, replying to messages on Facebook. Stay in close contact with UKAFH. We have a special Facebook leaders board, where you can raise questions, feedback or be notified of important information. Be willing to run (and Support) at least 3 to 4 fossil hunts per year. If we sign you up as a leader after being a support leader, you will be responsible in taking a lead role at hunts, ensuring that safety of participating members is of paramount importance. You will need to ensure the entire smooth running of field visits, from supplying hard hats and high-viz vests to helping identify finds found. Leaders must encourage friendship and co-operation among members and other branches of the profession, whilst helping to build links with professional organisations and museums, in order to help raise the status of UKAFH. UKAFH is fully GDPR compliant. When you use our services, you trust us with your data. It is our responsibility to be clear about what we collect and how we use it to make UKAFH work better for you. Your privacy and personal data is important to us. Your name, email, home address, interests and any message and details you send us via this page will be processed securely. The information given to us will only be stored in an email format, whilst we work with you to see if you are suitable as a volunteer for UKAFH. If you do not become a volunteer, this information is deleted. At no point do we ever pass your personal data to any third party, nor do we print this information. Should you become a verified volunteer for UKAFH, we will then store your details on our database and contacts applications, and seek further consent with you about any further uses of your data, or requirements. Your email address entered on this page is never used in any marketing or mailing list without your explicit consent..